THE B-MOVIE NEWS VAULT: Available now on Blu-ray: Scream Factory's latest triple threat of THE MANSTER, TIMEBOMB, & VICIOUS LIPS! Available now on Blu-ray: Scream Factory's latest triple threat of THE MANSTER, TIMEBOMB, & VICIOUS LIPS! SCREAM FACTORY'S ADDS "THE MANSTER," "TIMEBOMB," & "VICIOUS LIPS" TO ITS MIGHTY CATALOG! 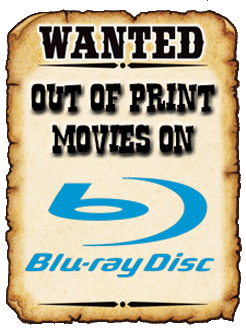 GET THEM ALL ON BLU-RAY TODAY! While I have become a fan of Arrow Video and Umbrella Entertainment, my heart will always belong with Scream Factory! And their latest trio of cinematic oddities is just three more reasons why I love them! Synopsis: "Before you startled eyes, a man will change into a monster!" An American reporter in Japan becomes the unwitting guinea pig in the experiments of a research scientist in this tale of ambition gone berserk. 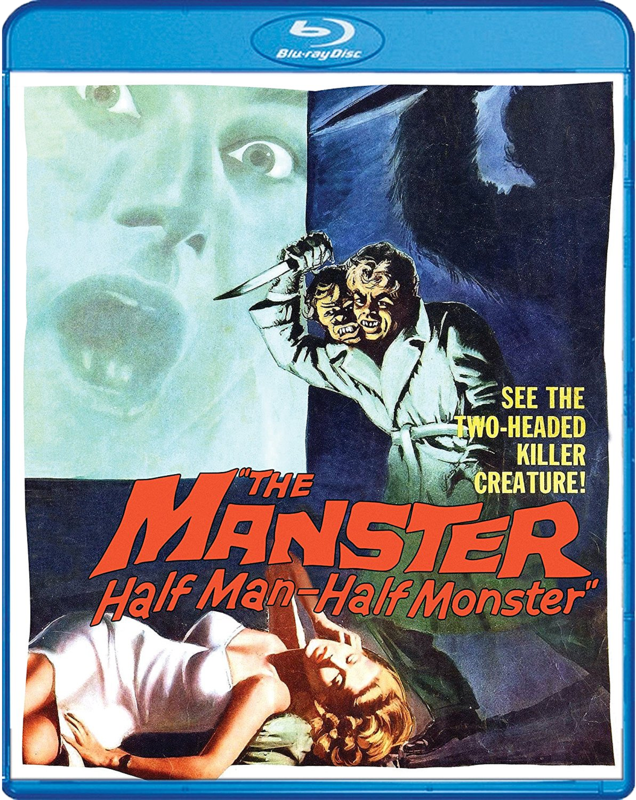 THE MANSTER (aka THE SPLIT) was originally released as the second half of a double feature. The first film was a dubbed version of Georges Franju's horror classic, EYES WITHOUT A FACE (re-titled THE HORROR CHAMBER OF DR. FAUSTUS). THE MANSTER is now available at all retailers, including AMAZON, BULLMOOSE, DIABOLIK DVD, and can also be ordered directly from SHOUT! FACTORY. Synopsis: "Eddy Kay was a target. Now, he's a TIMEBOMB." 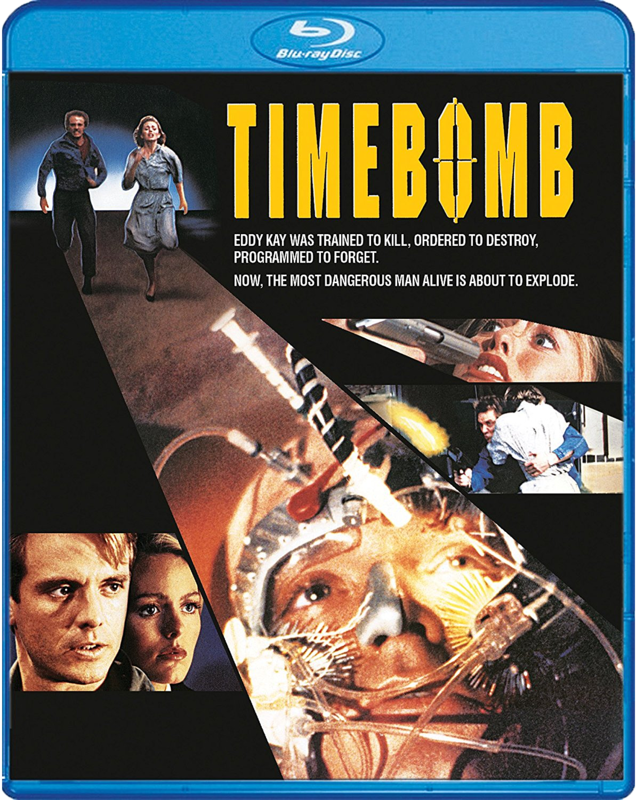 Michael Biehn (THE TERMINATOR, ALIENS) and Patsy Kensit (LETHAL WEAPON 2, ABSOLUTE BEGINNERS) star in the pulse-pounding action thriller, TIMEBOMB! When unassuming watchmaker Eddy Kay (Biehn) finds himself the prey in a deadly game of cat-and-mouse, it triggers a series of disturbing flashbacks ... to a past he does not remember. Seeking help from the beautiful psychiatrist Dr. Anna Nolmar (Kensit), Eddy uncovers the shocking truth about his true nature: he is the product of a shadowy government plot to create and program assassins. Shattered by this explosive revelation, the normally reserved Eddy leaps into action to shut down the assassination program before it's too late. The odds seem insurmountable ... but his adversaries quickly learn that nothing can stop Eddy Kay when he gets tick ... tick ... ticked off. TIMEBOMB is currently available at most retailers, including AMAZON, BULLMOOSE, and SHOUT! FACTORY. Synopsis: "In the cold of space, they're the hottest band around!" When "Vicious Lips" bandmates Bree (Gina Calabrese), Mandoa (Shayne Farris), and Wynzi (Linda Kerridge, FADE TO BLACK) get their one shot to make it as the galaxy's next big thing, they're over the moon with excitement. But their hopes soon come crashing back to Earth: Their lead singer Ace dies, and their big gig in the sky seems light years away! Hastily signing up the wide-eyed Judy Jetson (Dru-Anne Perry) to replace their Ace, the Lips blast off on a cosmic road trip to launch their meteoric rise to superstardom. Written and directed by Albert Pyun (THE SWORD AND THE SORCERER, CAPTAIN AMERICA, CYBORG), VICIOUS LIPS takes you on a wildly unique trip to some of the strangest rocks in the universe! NEW! Interview With Executive Producer Charles Band! Like the previously mentioned titles, VICIOUS LIPS is now available wherever Blu-rays are sold, including AMAZON, BULLMOOSE, DIABOLIK DVD, and SHOUT! FACTORY.